Goodreads: Julia Gooden knows how to juggle different lives. A successful crime reporter, she covers the grittiest stories in the city while raising her two young boys in the suburbs. 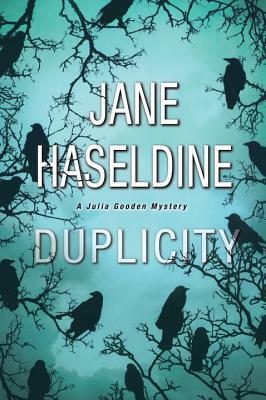 But beneath that accomplished facade is another Julia, still consumed by a tragedy that unfolded thirty years ago when her nine-year-old brother disappeared without a trace. Julia's marriage, too, is a balancing act, as she tries to rekindle her relationship with her husband, Assistant District Attorney David Tanner, while maintaining professional boundaries. David is about to bring Nick Rossi to trial for crimes that include drug trafficking, illegal gambling, and bribery. But the story becomes much more urgent when a courthouse bomb claims several victims--including the prosecution's key witness--and leaves David critically injured. Kritters Thoughts: The second in the series and this is one of those series where you need to start at book one, so before you read any further check out the review from yesterday. Ok if you are still here they may be spoilers for book one, so you have been fair warned. I loved the continuation of this series and I love Julia. I love seeing a mystery thrill through the eyes of a journalist who is friendly with the detectives. I also loved that this story also impacted Julia personally and I wonder if there is more to this series will they all take a personal toll on her? The major event in the middle of the book completely surprised me and I loved that it did! So I won't say much, but I liked where it took the book. More so in this book than the first did I like who the culprit ended up being and I liked where and when all the surprises occurred. If you are looking for a fast moving thriller that will be hard to put down then this one is just perfect for you, BUT start with book one!